We did it! We finished a major project. It feels so good to actually accomplish something after saying, “We should do….”, and “I want to…..” so many times. 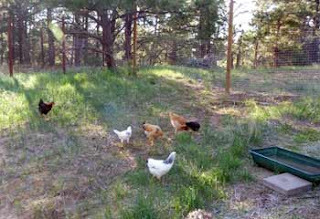 The house we moved into had a chicken coop & run already on the property. OK, so not really. 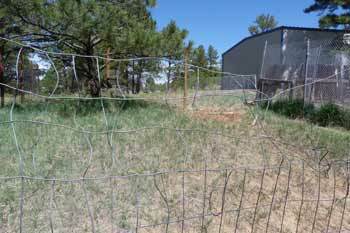 What it had was a shed that was converted into a coop……to hold geese. The last owners had five geese. 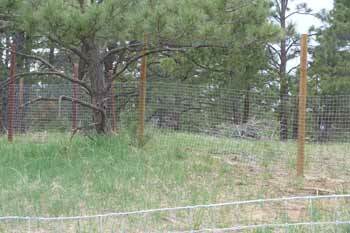 Attached to the ‘coop’ was a fenced in area, which we’ll call a run. 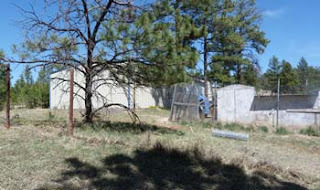 It’s an eight foot high fence that encompasses a good size area. 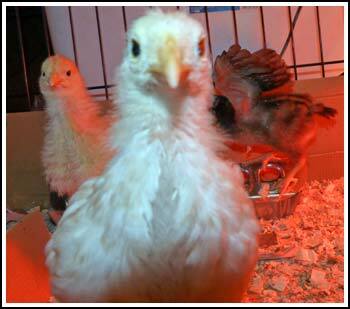 Least we were content with it to keep our five chickens and giant bunny happy when we first moved in. See the bunny? 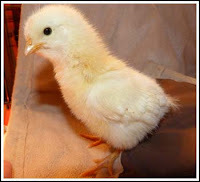 Isn’t he cuuuute? His name is Jasper. Anyway, this spring, we got carried away, and got 16 new chicks, and 6 ducklings. Yeeaah, so that coop & run wasn’t going to be big enough anymore. Not in a few months when we have 19 full grown chickens & 6 ducks! 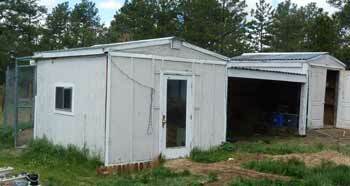 The ‘coop’ needs alot of work, and we definitely had to extend the run. We didn’t want to give them free range of the entire property as we’re on the corner of the road, and we have big dogs which would chase the birds. Dogs. About 30 feet (27 to be exact) behind the current run was a run-down pen. I was told that the previous owner didn’t have any animals. *shrugs* I don’t know what was kept there, but it’s a good size. 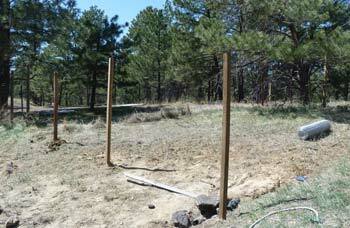 Many of the posts were leaning and the fencing was gone in sections, but all-in-all, a good base to start. It’s not the best looking pen, but it was sturdy, framed with wood at the bottom, and has two concrete slabs. One is where we are going to put a lean-to for hot sunny days, and inclimate weather. The other is going to be a feeding station. The area is functional, so why not use it. We took measurements & sketched out the area. We decided to extend the run up to the pen. 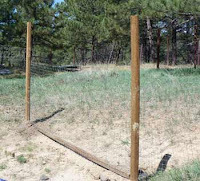 Many of the areas of fencing had holes in it. Looks like something really tore at it. Instead of replacing it, which would have cost more money, we tore many sections up, and flipped them so it was now the top. It was a 6′ fence, so it was tall enough to do this. Critters could have gotten in these ‘holes’ if we had left them. Being as we’re on a no-budget, budget. We had to go “redneck”, and do what we could with what we could. It won’t last long, but hopefully by the time it needs repaired, we’ll have a little $$ to spend on it. Sometimes you just gotta do what you can! We re-used all the posts we could. The originals were concreted in, but some were broken. We salvaged those & re-set them. Not with concrete because eventually we will be building a stronger, bigger pen. We’re hoping this will last at least to next spring when we can do it right. Damn I hate not having money to do something right the FIRST time! 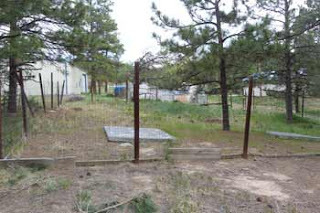 We did have to buy some fencing. 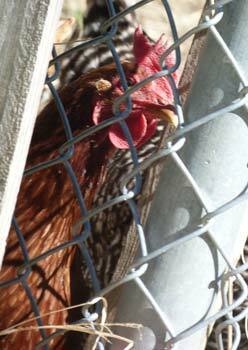 Since we are containing teen-age chicks, we opted for thin opening mesh fence. We found a roll of 50 feet on clearance at Lowes for $40. 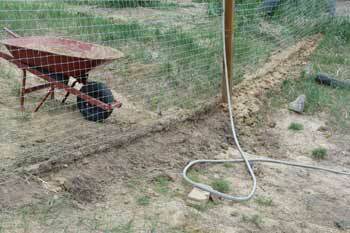 We bought 4 new posts to run between the run & coop @ 9′ apart, which cost $3-something a piece. We had all the staple nails so our fencing project was less than $50 with hubby’s military discount. Yeah, baby! One small problem. Smack dub in the middle of the run & pen is a water run off. Our property sits in the middle of a hill, small mountain, dunno what you would call it, but we get water run off though many parts of our property from above us to down into the valley. This was one of the eroded spots. 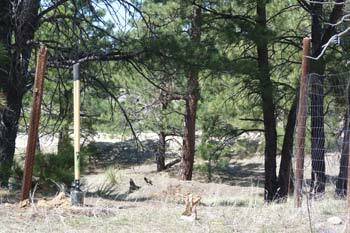 To keep the water flow, we found some old irrigation tubing the previous owner discarded on the property. We laid that in the natural made trench, and built the area around it with a board & clay dirt. LOL, I must admit, that was a fun day…playing in the clay. So hubby set forth, and using the post hole digger, got the holes about 18″ deep. Together we set the posts making sure they were plumb, and wetting the clay dirt to pack them in as best we can. 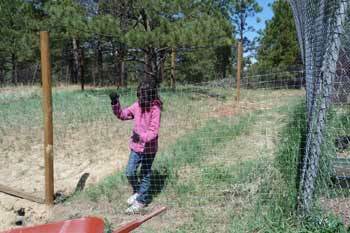 We fixed the fencing that was broken & torn down in the pen, and installed new fencing where needed. 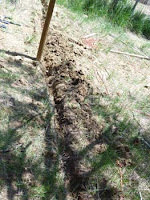 We dug a trench to bury the fencing a few inches deep. The rest of the pen & run were already done like this (thank goodness). That giant rabbit loves to dig, and we don’t want him digging his way to freedom, now do we?! The kids really worked hard helping on this project! It took two days to complete the expansion. One day to dig & set the posts, and one to run the fencing. But wait! We’re weren’t done after all…..
We needed to build a gate to get in, and also needed to open up the areas to each other. 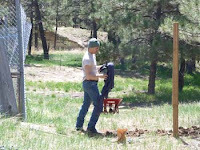 On the third day hubby built a gate out of scraps of wood we had & left over fencing. It’s a darn impressive gate, if I do say so myself. He practiced making dado cuts with this & it turned out well. We had some hinges laying around that we took off some old bi-fold doors, and stole the latch from another gate on the property that wasn’t working anymore. Recycling is a must with no money! 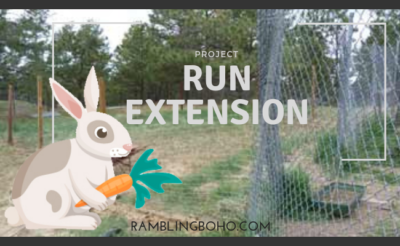 All that was left was to cut the chain-link fence of the old run, so the girls could run free in the expansion! We just sliced straight up the fence & pulled it back. We’re not quite sure what we are going to do with it in the future, since we’re planning on redoing this more permanently, so we just left it like that for now. It’s a wide enough ‘gap’ for both the animals & the humans to walk through. The girls and Jasper were sooooo happy to have the extra room when we let them out. The total area they have now is prolly .15 to .20 of an acre. Not too bad for them to forage in. When we make a more permanent structure, we will expand on it yet again. But right now, it’s MUCH better than what it was to say the least! 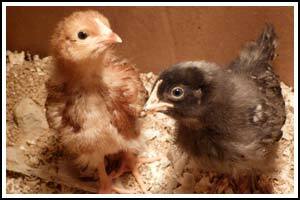 They have lots of shade now, and breathing room. 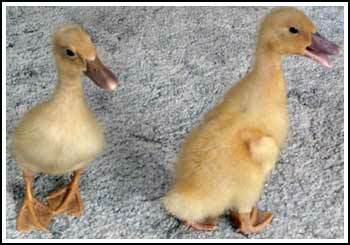 There are trees for them to roost in if they choose, and lots of tall grass to lay in (which the ducks love). * Footnote: This project was worked on April 7th, 27th & completed on the 28th.